The SIU College of Business would like to extend a sincere welcome to Jeffery Reece as the new Coordinator of Executive and External Education, effective June 4, 2014. 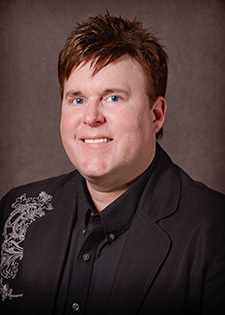 Reece has held various roles at SIU since 2007. He joins the College of Business from his most recent position in human resources at SIU. He brings to the College of Business experience in applicant screening, developing and implementing programs, facilitating online courses, creation of online training materials and a talent for strategic planning. Suzanne Altobello, Director of MBA Programs, stated, "Jeffery is an excellent addition to the graduate program’s team. His experience in online education and program creation will be influential as we continue to improve delivery of our online MBA program." Reece’s history as a Saluki began while earning is Bachelor of Arts with a business focus in 2007 and continues while he works to complete his Ph.D. in Workforce Education/Human Resource Development.